On its own this is an efficient 2-3 season bag useable from April to September. Combined with the 4S Inner, this can be used all year round in sheltered places. 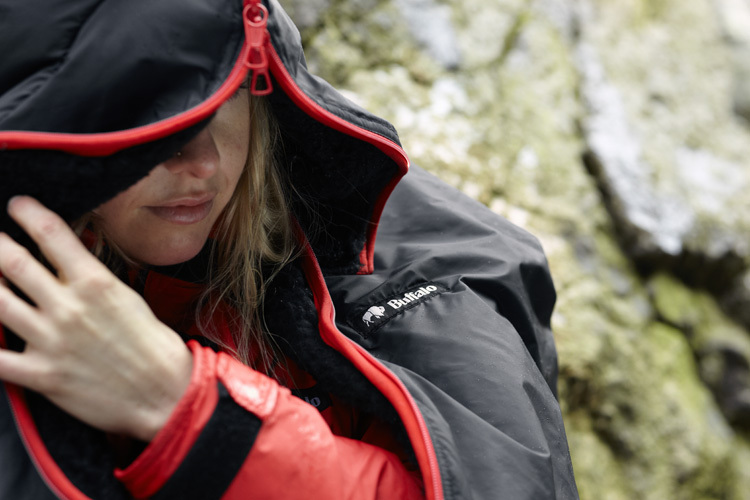 With the further addition of the Thermaliner, either between the Outer and Inner or inside the Inner as protection against dirt, you have a full 4+ Season system, for comfort all year round. Heavy duty, three quarter length front zip. Internal toggles for attaching to an Inner or Thermaliner. Stuff sack with compression spider. Easy to wash (although a launderette is recommended). Got that sleeping bag. Warm and very well made. I purchased this bag with an interliner about 20 years ago and I still use it today (last time was the beginning of November). It is not the most comfortable bag in the world and sometimes gets rucked up around you but is warm and performs as well now as it did when I bought it. 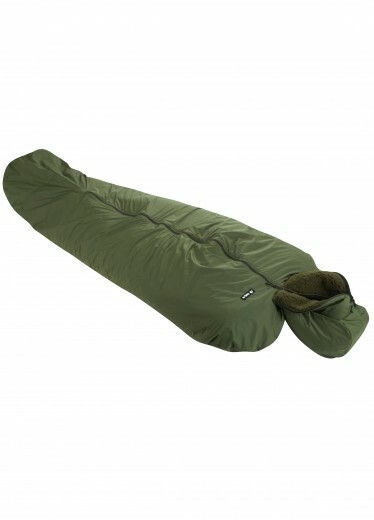 It is bulky compared to a down bag but is great for base camp and the various liners can be removed depending on the time of year, making it a very versatile and flexible addition to your kit. 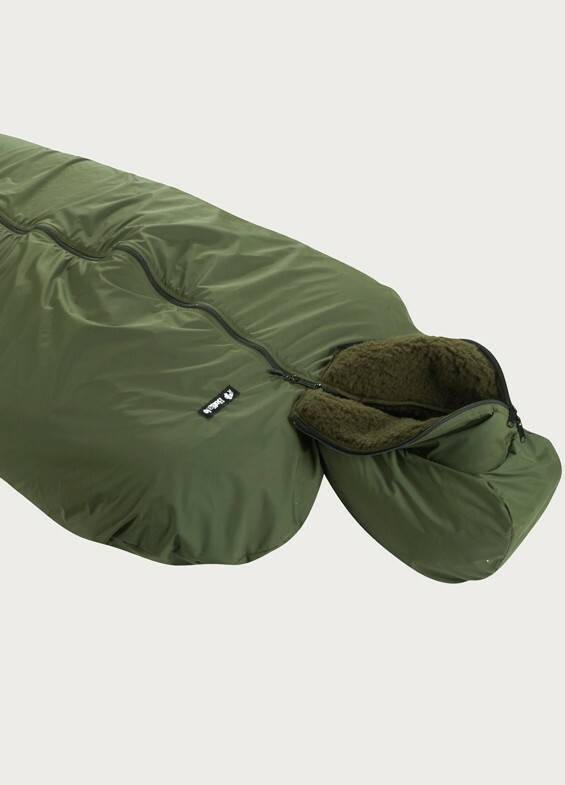 I use mine with a 3 season hollofil bag inside for winter camping; brilliant warmth, also dries out damp clothing placed between inner and outer bags. Roomy enough, and has worn better through the years than I have – I bought mine in 1989 and it is still doing its job well. 10/10. I’ve been using these bags for a few years now, and find them the ideal bag for bivvying. Much heavier than a good down bag, but with a simple waterproof bivvy bag on top you can be completely confident in any downpour. On a recent trip my companion’s down bag became saturated after 4 hours of overnight rain due to condensation in his bivvy bag. My bivvy was equally wet inside, but the buffalo bag repelled it easily & I was warm & dry & cosy. Especially if you team them with buffalo clothing then that really is the perfect bivvy system. My average pack weight for a spring/summer trip is 4.5kg, and that includes the buffalo bag. I’ve had my 4S bag for 30 years now and it’s still my first choice for lightweight camping in unpredictable weather. It’s amazing how small it packs down and you are instantly warm once you climb inside due to the pile inner. I usually end up removing any clothing I’m wearing after a few minutes and, if it gets wet, it dries really quickly. It’s a very forgiving bag, washes easily and bounces back to life. After trying other bags over the past few years, my partner has finally decided to get one too. How about that for an endorsement?